– Come meet some of Spokane’s colorful characters! Come meet Spokane’s “cool uncle” that always had a bed available for the down and out miner. 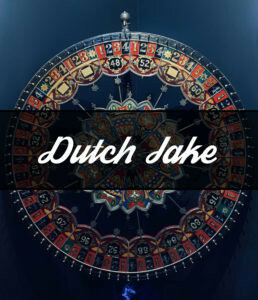 Visit him and his “world famous” gambling wheel! 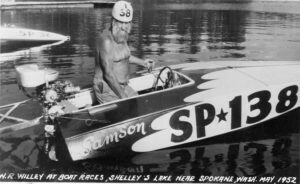 The shirtless man who warmed the hearts of the people of Spokane. Meet the man who would sport just his khaki shorts, even to go ice skating! 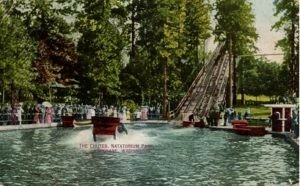 Spokane’s first amusement park reopens here at the Spokane Valley Heritage Museum to remember the park that always was sure to be fun for the whole family. We have a historical fascination with space. Our traveling exhibit, on loan from the Smithsonian Institute takes a peek into the early explorers of the next frontier. Thought-provoking images — captured by high-tech satellites constantly circling the globe — invite contemplation of conditions and events that are nearly impossible to document on the planet’s surface. Visit the Museum and fly alongside NASA satellites, watch video from the Mars Curiosity rover and check out images from the Hubble Telescope. including the Spokanes and the Coeur d’Alenes. the missionary priests, Antoine Plante, and the Mullan Road. early years. Without water, however, none of it was possible. telephone switchboard for you to investigate. Here at the Spokane Valley Heritage Museum, we make it our priority to preserve local history and keep these exhibits in the Spokane area. The Honor Point Military and Aerospace Museum approached us and offered us the chance to rescue these artifacts from Eastern Washington’s history. We are proud to add both the Fort Wright and Missile Complex exhibits to our featured exhibits, provide a refuge for these artifacts after the closure of the Honor Point Museum, and keep these artifacts in the community. Visit artifacts from the famous fort opened in 1899. The fort was in use during the Spanish American War and was actually visited several times by president Theodore Roosevelt. 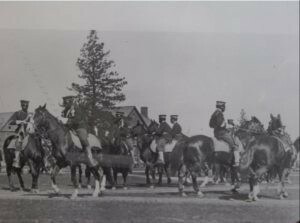 Home to the Buffalo Soldiers, an African American Cavalry that assisted Roosevelt in his seizure of San Juan Hill, the Fort remained in use until 1957. Check out the new “explosive” Missile Complex Exhibit. Featuring a map of silo and bunker locations throughout Eastern Washington.